This past Spring, I served as the Student.Go intern for LUCHA Ministries in Fredericksburg, Va. LUCHA provides holistic care for Latino immigrants and serve as cultural brokers between the English and Spanish speaking communities. The move from traditional giving to digital fundraising has had nonprofits scrambling to keep up. This year, LUCHA Ministries participated in the Community Give, one big day of fundraising for all nonprofits in the region. We competed for prizes, but it was more partnership than contest. “Collaboration is the new competitive edge,” explained Lisa Beiver, the head of the Community Foundation, the organization that hosted the event. Each nonprofit mobilized their supporters to give online during a 24-hour period. They received prizes and training leading up to Giving Day. This year, the Community Foundation sponsored social media training and introduced Perfect the Pitch, a visual storytelling contest. One of the greatest things we learned was a seminar on visual storytelling. We found people relate to stories more than statistics. LUCHA understood we needed to tell a compelling story, but we weren’t sure how to do that online. While our director Sue Smith had perfected the elevator pitch, she wasn’t as comfortable using social media and blogging sites. We were challenged to tell our story in less than three minutes; with internet attention spans being short we would be lucky to engage people with our mission. I met with Sue, and Tom Scott, our videographer and media consultant, to brainstorm how we would tell the story of Project Adelante, our family empowerment group. We came up with the idea of a video, just one minute long, that would follow three immigrant women in the United States. This is where things got tricky. For many members of our community, immigration is a politicized issue, and we’ve dealt with prejudice in the past. We were tempted to paint our clients as victims who needed the mostly white community to ‘save’ them. 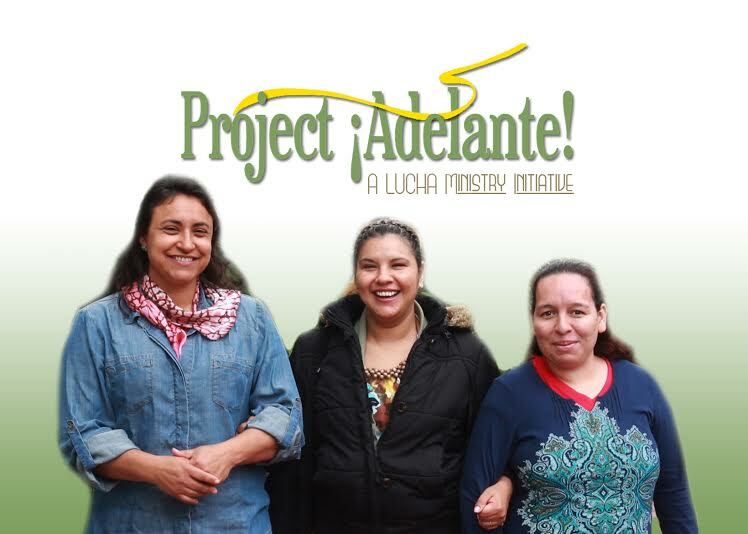 But that’s not the story of Project Adelante. 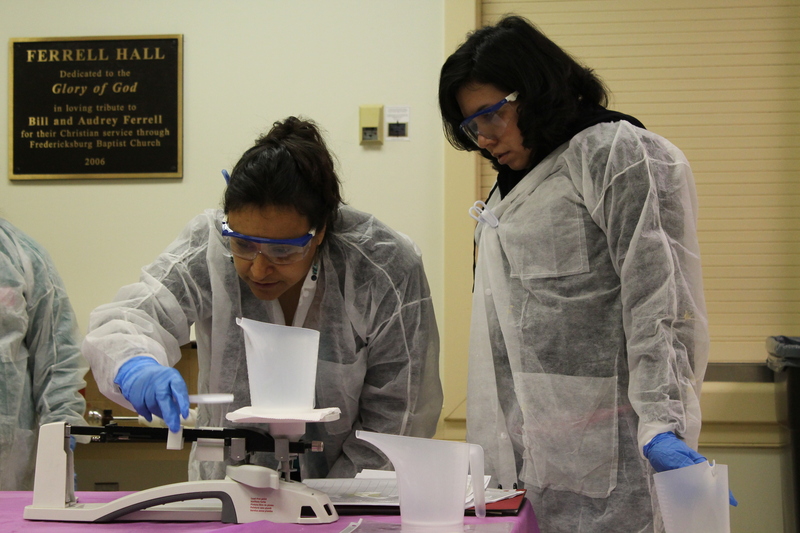 The group began two years ago when a chemist said he would teach immigrant women his hobby of soap-making. Eventually this grew to include classes for crochet, CPR certification and English pronunciation. Today, the women know they can do anything. They’ve formed their own artisan cooperative and are selling organic products to local businesses. They’re teaching crochet classes and have started the only bilingual Girl Scout troop in Virginia for their daughters. They’ve been able to take the talents they already had and transform them into improvements for their community. The best thing about Project Adelante is teachers, students and translators all move forward together. One week a person is a student, the next they may be teaching a class. It’s a model of empowerment, not charity. I helped with translation, but at the end of my internship most of the ladies didn’t need it. Sue, Tom and I knew we couldn’t make a video that preyed on people’s guilt and stereotypes. We had to tell a better story, a true story. We didn’t shy away from conflict-one woman in the video suffers from depression – but we tried to show that groups like Project Adelante bridge this gap. After the video we were encouraged to share our story on Facebook, Twitter, Pinterest and Instagram. We wrote several blog posts, designed infographics and told the story from the perspective of our volunteers and clients. Our clients helped us every step of the way. They worked as actors in the video, translators for the website and helped spread the word about the contest through social media. Throughout the process, we learned our greatest resources are the people we serve, who are just as capable and willing to serve others. On May 5th, we were ready to put our hard work into action. Judy looked at me like she usually does when I’m being ridiculous. “Ashleigh, even if you don’t raise any money, look at how much good this has done,” she said. I won’t pretend generating donations wasn’t difficult. Even after our effort and storytelling, only one friend from home and four family members donated. However, as the day wore on and our numbers increased, I was surprised at the thoughtfulness and generosity of the community. One woman, a single mother who was working two jobs and trying to pay for university, still donated $10. Another Latina client called several times to make sure her donation would go through, even going as far as giving her credit card number to Sue over the phone. My friend from Texas who donated is a recent college graduate who’s paying off student loans. He still managed to give $50. My grandmother, who has never met any of our clients and hasn’t been to Virginia in decades, gave more than most people. At the end of the day, LUCHA raised $6,225, more than double what we received last year. We also doubled our support from 32 to 64 gifts. We will be able to fund classes for the summer and next semester including classes in Microsoft Word certification and literacy. Also, we are expanding to get more fathers involved with plumbing classes for men and women. Thanks to the community’s generosity, we will be able to continue our programs for another year. Through the Community Give, I learned much about fundraising, storytelling and community collaboration. It takes time, hard work and lots of coffee, but the challenge to tell a true story is something that gives us pride and purpose. As our community has proven, you don’t have to be rich and famous to change the world. “Empowering” Immigrants from Tom Scott on Vimeo. Ashleigh Bugg serves as a Student.Go intern with LUCHA Ministries, Inc. in Fredericksburg, Va., alongside LUCHA Directors, Cooperative Baptist Fellowship field personnel Greg and Sue Smith. Previous post ← Social Justice for the Black Community in the U.S.A.